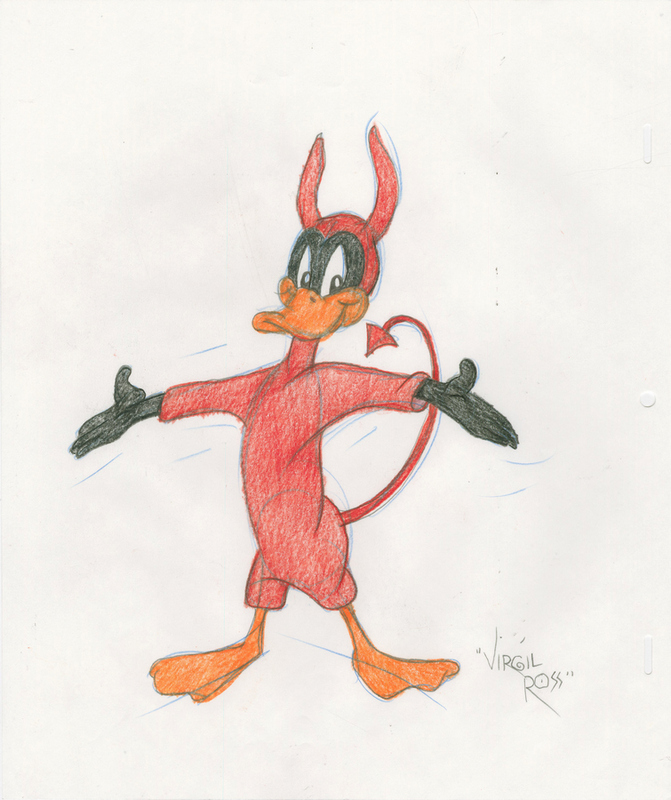 This is an original drawing that was created in the 1990s featuring a depiction of Daffy Duck in a devil costume, inspired by the 1957 WB short Show-Biz Bugs. 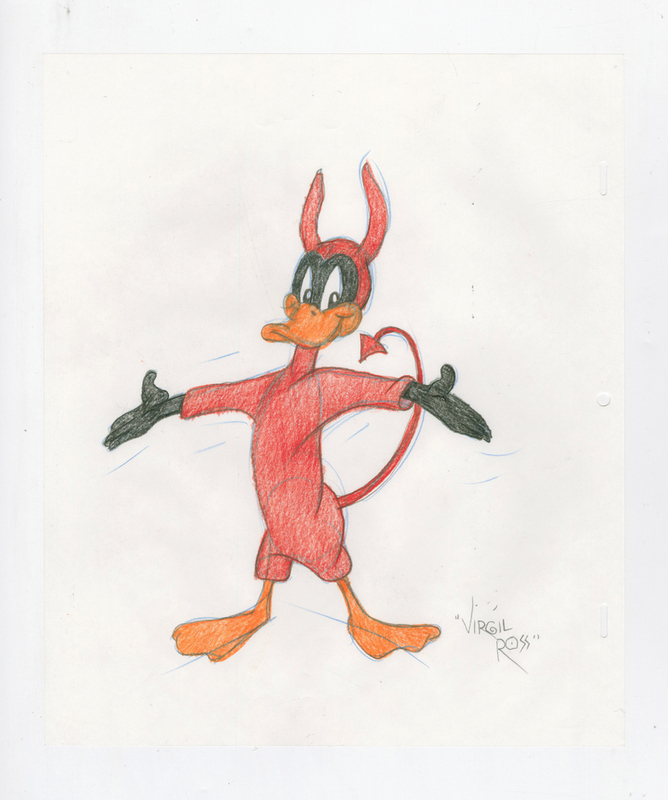 The drawing was created by legendary Warner Bros. animator, Virgil Ross, and is accomplished in graphite and colored pencil on 10.5" x 12.5" animation paper and the image area itself measures 9" x 7". The drawing is signed by Virgil Ross on lower right of the page. This drawing is in excellent condition.